Egyptian e-health startup Vezeeta has raised $1 million in additional funding from IFC to add up to $12 million in Series C financing. Started in 2015, Vezeeta provides patients with the ability to search, compare, book, and engage with over 10,000 doctors in Egypt, Saudi Arabia, Jordan, and Lebanon. It also helps providers in hospitals and clinics manage medical appointments and patient data. It has managed to book three million appointments in the region and served 2.5 million patients. In Vezeeta’s new model, patients are allowed to post ratings on different aspects of their doctors’ visits, including their performance, cleanliness of the office, the staff’s friendliness, and waiting times. “Suddenly, doctors have started to give feedback on Vezeeta’s service,” said Vezeeta’s CEO Amir Barsoum. 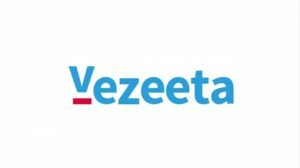 In September, Vezeeta announced it had raised a $12 million Series C funding round, which was the largest single round raised by Egyptian tech startup until ridesharing startup Swvl topped it in November. It has now secured an additional $1 million from IFC to help it continue with its expansion drive. “You are a consumer in every single industry, except in health care, where you are a patient. This in itself tells you that you are un-empowered, and they are weak in the decision-making process in such an industry, “Barsoum said. “Our role is to empower patients through data, through knowledge. Empowering them to access health care, but also empowering them in their journey with health care, “he added. After many months of fast and steady growth, Vezeeta is getting used to 20 employees and 500 registered doctors to one that today employs 200 people in Egypt, Jordan and Saudi Arabia and more than 200,000 users with 10,000 doctors having subscribed. The investment comes as part of IFC’s broader efforts to support entrepreneurship and expand financial access to startups to create new markets. Last week it selected 100 startups from across the continent to take part in its Next Startups initiative. Written by: KanelkaTagba on December 11, 2018. Posted by KanelkaTagba on Dec 11 2018. Filed under Headlines, World News. You can follow any responses to this entry through the RSS 2.0. Both comments and pings are currently closed.